Like nearly every company and institution these days, universities don’t want to miss out on the blockchain gold rush.On college campuses the demand from students for blockchain-related courses is skyrocketing. In 2014, NYU’s Stern School of Business became the first major academic institution to offer a course on cryptocurrencies; now nearly half of the world’s top colleges teach a blockchain-based class. As a result, schools are fighting among themselves to announce initiatives, courses, and big-name partnerships. But universities should approach blockchain with caution. Unlike other buzzed-about technologies like virtual reality or self-driving cars, blockchain poses a unique set of challenges that make building educational programs especially difficult. In the rush to be seen as forward-thinking, universities risk creating programs that are likely to go obsolete, saddle students with debt, and fail to provide a valuable education in the long run. The core issue is that blockchain is really hard to teach correctly. There’s no established curriculum, few textbooks exist, and the field is rife with misinformation, making it hard to know what is credible. Protocols are evolving at a rapid pace, and it’s tough to tell the difference between a white paper and reality. Having so much attention around blockchain specifically frames it as a miraculous and novel development rather than an outgrowth of decades of computer science research. Matt Blaze, an associate professor at the University of Pennsylvania and a cyber-security researcher, points out that the push for degree programs in blockchain is part of a trend of over specialization by some engineering schools. Focusing on core concepts rather than trendier aspects of the technologyGuiding students to understand real industry needsCreating curricula that have rigorously enforced expiration dates. The key to learning a constantly changing subject is to focus on the core concepts while ignoring the irrelevant yet popular discussions of the day. In the case of blockchain, that means a deep investigation of security engineering, cryptography, and governance concepts — as well as the psychology and context of how people make decisions. So far, these topics have been given lip service by the startup community but remain largely ignored — especially that last topic. While blockchain is a highly technical and mathematical subject, building anything useful with it also requires a broad understanding of human behavior. Second, universities can help refocus blockchain entrepreneurs and developers on actual problems businesses are facing. To that end, schools should customize educational programs for different career tracks. Blockchain intersects with law, engineering, and finance in unexpected ways, so analyzing and directing its impact will require looking at it through many different perspectives. An environmental researcher might be most excited about the ability to have a decentralized network of pollution sensors, whereas a tax lawyer may be most interested in the compliance benefits of immutability. Finally, in order to keep up with the rapidly evolving field, instructors need to update at least 80 percent of their material every semester. Anything less will be too inadequate to be relevant. (For example, last semester the focus would have been on utility tokens, but this semester the discussion has moved on to security tokens.) Cryptographic approaches, collective decision making processes, and data organization systems are all rapidly evolving as well. And that alone isn’t enough – they need to stay connected with the problems that developers, entrepreneurs, and researchers are actively working on. 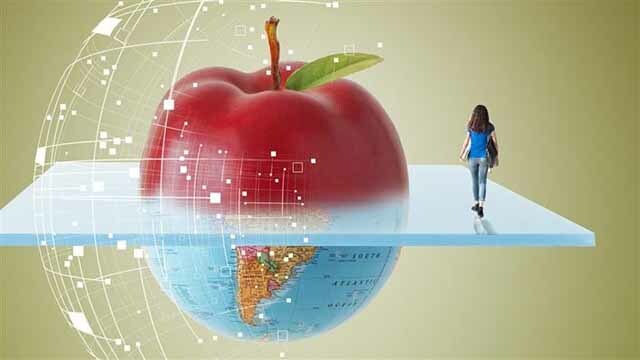 The most important thing universities can teach students is how to navigate the rapidly changing waters of advancing technologies for themselves. Blockchain could benefit enormously from more academic involvement because universities can make significant contributions to a field when private industry’s incentives are not aligned with the common good. This includes work on foundational issues related to security, stability, and infrastructure. Universities produce research on blockchain that everyone benefits from because it is trustworthy, reliable, and free from conflicts of interest.The fact that you can get a basic economics education at almost any university has helped fuel the growth of the finance industry over the last century. If blockchain is ever to reach its potential, it needs to be taught in a scalable way. Building a decentralized and fully digitized world will require millions of new minds working on it – and universities will be key to making that happen. Tarun Wadhwa is CEO of Day One Insights, a strategy and advisory firm focusing on technological convergence, corporate reinvention, and social impact, a contributor to Forbes, and author of Identified: The Digital Transformation Of Who We Are. He also teaches blockchain-related courses at a national university and at Fortune 500 companies. Anish Mohammed has been working in security and cryptography for two decades as a researcher and consultant. His main concentration today is security, scalability, and consensus of blockchains and smart contracts for AI safety, cryptoeconomics, and token engineering. He teaches Fintech at Barcelona’s Harbour. Space University and hosts lectures, seminars, and workshops on the subject globally. Francisco Gimeno - BC Analyst A very interesting result of the 4th IR is that the tradicional education system is rapidly becoming obsolete. Teaching blockchain or crypto in the University can't be a static system, but a continuo us evolving topic which needs ongoing formation, debate, reinvention, and an understanding that they won't be the only ones to teach it, but they have to be at the core of it. A meeting for the group Blockchain at Berkeley fills an auditorium. Last spring, Associate Professor of Computer Science Emin Gün Sirer was scheduled to teach a 600-level course on blockchain technology at Cornell University, an advanced class intended for PhD students. "Usually when you have five to a dozen students in such a class, you're teaching a popular class," Sirer tells CNBC Make It with a laugh. But when Sirer arrived on the first day to teach, he was shocked: 88 students had shown up. "It was pretty interesting to see that level of interest," Sirer says of the students, most of whom were undergraduates. Those Cornell students aren't an anomaly: At other top universities across the country, students are anxious to enroll in courses focused on the proliferation of blockchain, a decentralized ledger technology that underpins cryptocurrencies like bitcoin. According to a new survey of 675 U.S. undergraduate students by cryptocurrency exchange Coinbase and Qriously, 9 percent of students have already taken a class related to blockchain or cryptocurrency and 26 percent want to take one. 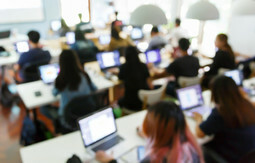 Among courses on blockchain, the University of Pennsylvania offers "Blockchain, Cryptocurrency, and Distributed Ledger Technology," taught by Kevin Werbach and engineering professor David Crosbie; University of California at Berkeley offers "Blockchain and CryptoEconomics," taught by computer science professor Dawn Song; and Cornell offers a course on Cryptography. Last year, Song had around 100 students from her department competing to nab one of 25 available seats in a blockchain class she co-taught with faculty from the business and law schools on campus. This year, she's still seeing high demand for her blockchain course. "It's still very popular," Song tells CNBC Make It. "I think students are intrigued to learn about the technology which is very broad ranging and both has deep historic academic roots as well as exciting new frontiers. "The course professor Werbach, who teaches legal studies and business ethics at The Wharton School, will be co-teaching this fall is the university's first full-credit class entirely focused on blockchain.A big reason for the increased interest in blockchain classes is job prospects, he says. "There is rapidly growing student interest," says Werbach. "They're seeing opportunities with companies that want students to work in this area, which include both blockchain focused start-ups as well as major companies. "Wharton sends people to all the Fortune 500 companies, and investment banks and technology firms. A very high percentage of those leading firms now have blockchain or distributed ledger projects, and they're looking for expertise in that area," Werbach explains. University of Pennsylvania Professor Kevin Werbach speaking.Indeed, job postings related to bitcoin on LinkedIn increased nine-fold in the financial services industry and four-fold in the software technology industry (as a proportion of overall job postings on LinkedIn) over the last three years, according to data provided by the platform to CNBC Make It. As of Monday, there were 2,770 open jobs related to "blockchain" posted on careers website Glassdoor. Tech companies like IBM, Facebook and Amazon have all started blockchain initiatives. And though the most widely known use for blockchain is cryptocurrencies, industry proponents say the potential applications are numerous and far-reaching, from tracking the supply chain of food as it travels from farms to your plate to helping you shop for electricity. A full 84 percent of companies are "actively involved" with blockchain technology, according to PwC's 2018 Global Blockchain Survey. Of course, 2017's bitcoin mania certainly helped peak students' interest when the price of the cryptocurrency (which relies on blockchain) rose from less than $1,000 at the start of the year to a high of over $19,000 in December, drawing the attention of everyone from young people to the likes of billionaire investor Warren Buffett. (Wednesday bitcoin traded near $6,270, according to CoinDesk. )The Penn Blockchain Club, for which Werbach is a faculty adviser, started in the fall of 2017 and had amassed 300 members by the end of that year. Today, they're at nearly 600 members, Werbach says.Berkeley's Blockchain at Berkeley student club, which consults on building blockchain applications for companies and has worked on blockchain projects with companies ranging from wireless tech giant Qualcomm to the French aerospace company Airbus, also saw a swell of interest, Alan Lai, a sophomore electrical engineering and computer science student in the club, tells CNBC Make It. "After December 2017 when the blockchain craze occurred, the following semester we had 2,000 people interested in our info session on Facebook," Lai says. "We had 400 applications that semester as well. This semester we had [approximately] 250 applications. 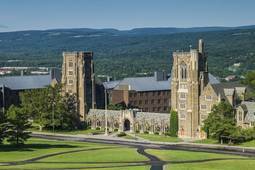 "At Cornell, the university's blockchain club has attracted over 100 members from fields of study ranging from hotel management to biology. When speakers have come to give lectures for the club, the attendance has often been "so large we had difficulty finding a room," Sirer adds. While Sirer is excited to see the students' passion, he has a word of caution for blockchain fanatics. "What you want to avoid at all costs is overspecialization early on in your career," he explains. "If you end up going to a program dedicated to blockchain, I think I personally would say you're making a mistake. "Studying with a niche focus — even a buzzy one like blockchain — is less useful than learning overarching principles, concepts and foundations underlying computer science and engineering Sirer argues, especially in an industry as fast-paced as high tech. "The right thing to do is establish a broad, strong base," he says. "All of our courses are structured in a way that they convey principle. We are not teaching people how to use today's blockchains — tomorrow's blockchains will look nothing like today's. "Berkeley student Lai, for example, has interned at two blockchain companies not only as a developer, but also as a marketer, he says. At Wharton, Werbach agrees. Focusing an entire academic education on one emerging technology would be a mistake, he says, given that there isn't yet enough material to teach a full degree on blockchain with sufficient rigor. He too encourages students to think about the topic in a holistic way. "In order to understand blockchain well, you actually need to learn a bunch of subjects that we already teach in the university, things like economics and finance and law and distributed systems in engineering," Werbach explains. "I think someone who is taking a bunch of related courses because they're interested in blockchain is going to get a well-rounded education that is going to serve them well and be useful even if this industry falls apart. "Still, Werbach says the subject is worth paying attention to and learning. "I am confident that whatever happens to the price of cryptocurrencies or the success of some of these first generations of companies that have done token offerings, this technology of blockchain and cryptocurrency is here to stay," Werbach says. Francisco Gimeno - BC Analyst If I were a millennial or a Gen Z, I would try to become a Generalist. Study blockchain shouldn't be a specialisation, but one of the core subjects among others, to prepare for the future already happening, Blockchain is meshing into many disciplines. Schools and Universities are gearing fast forward too, although I see yet some resistance among the old heads (not neccesarily old by age) to accept the importance of this technology. What do you think? The blockchain technology market could top $2 billion in three years as companies, NGOs and governments understand the potential create customer trust, cut down on counterfeit goods, reduce transaction costs, and reach emerging markets. While there are a growing number of ways blockchain is being used in banking, retail, and education, it’s still relatively difficult to learn the skills to compete for lucrative new jobs being created. According to largest global freelancing website Upwork, blockchain is ranked as the hottest technology in its quarterly skills index. Even with the cool down of the cryptocurrency markets, the demand for blockchain job skills grew six thousand percent in just the first quarter of this year. Juha Mikkola, co-founder of Wyncode Academy, a coding school, said some developers are being paid double the going rate for their blockchain experience. "It's not just tech companies that need this talent, it's real-estate, non-profits, and banks," Mikkola said. Leading university computer science programs have been quick to respond. According to new research, 42 percent of the top 50 universities in the world offer at least one course on cryptocurrency and blockchain technology. MIT offers a six-week online blockchain certificate program (in partnership with 2U). Oxford offers a similar six-week certificate program (also powered by 2U).Coursera offers a four-course specialization in blockchain. Udacity offers a six month nanodegree for blockchain developers. Courseware is supplemented with office hours with their Experts-in-Residence. Atlanta-based Kingsland University (founded ten years ago as Social Media Marketing University) offers an accredited blockchain training program for developers. The hybrid program involves four weeks of face to face training and four weeks of project work. They are offering scholarship funds to reach students in countries where such training is not available. They claim 275,000 students in countries globally including the US, Singapore, Australia, and the Philippines. Kingsland also offers a two-day executive course. 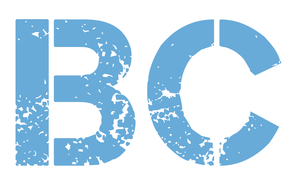 Blockchain Council (@ChainCouncil) is a group of subject experts and enthusiasts evangelizing Blockchain for global impact. They offer a self-paced training program to become a Certified Blockchain Developer. Participants learn the discipline of Distributed Ledger Technology from a vendor-neutral perspective. 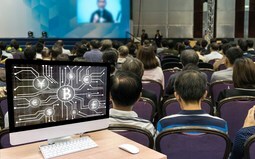 A federation of trade unions in Singapore, the National Trading Union Congress Learning Hub (NTUC), in partnership with Huobi Group, announced this week a series of new courses on Blockchain for cryptocurrency enthusiasts and fintech professionals. The courses will cover the basics of bitcoin and distributed ledger technology, with an emphasis on practical uses of the cryptocurrency (see the outline of the introductory course). Aeternity ventures sponsored the first blockchain course at SoftUni, Bulgaria, and recently launched the first decentralized blockchain incubator program which saw ten dynamic startups battle it out for $1.3 million in funding. 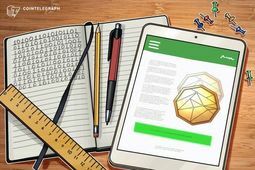 London-based education startup B9lab (@b9lab) launched an online Certified Ethereum Developer Training program in 2016 (powered by edX). They also offer an executive course. Education is core to the philosophy of engineering companies like IOHK. Director of Education Lars Brünjes, a Ph.D. in Pure Mathematics, is a specialist in Haskell, a functional and secure programming language chosen to construct the leading cryptocurrency Cardano. Lars has also led courses worldwide in the durable Haskell programming language in Athens and Barbados, with the best graduates from the program offered full-time positions at IOHK.Want a free introduction? Francisco Gimeno - BC Analyst Seeing in Linkeldin the many "blockchain experts" is good to read news like these. Less buzz words and more training, preparation and formation/training is needed. The ecosystem needs it and needs fast. Some have literal vested interest in the cryptocurrency market itself, while others are looking to leverage blockchain courses to break into the space’s developing job market. Of those surveyed, 18 percent reported holding some value in cryptocurrency. Another 26 percent indicated that they’re interested in taking a blockchain-related course in the future, with the most immediate interest coming from social science (47 percent) and computer science (34 percent) majors. “If you’re an expert in cryptocurrencies and cryptography you’ll have a difficult time not finding a job,” he noted.The survey also studied the top 50 universities in the world as ranked by the U.S. News and World Report, and it found that 42 percent offer at least one class on relating to the blockchain industry. Geographically, the study indicates that cryptocurrency courses are more popular in the U.S., with Stanford and Cornell University topping the charts for most individual offerings. Outside of the U.S., only "five of the 18 international universities" surveyed offer at least one class on blockchain technology or cryptocurrencies in general. One of its more salient findings, the survey highlights the high demand for crypto and blockchain courses across a wide spectrum of departments. Unsurprisingly, most of this demand stems from the finance and computer science disciplines . “Coinbase’s analysis found that, of the 172 classes listed by the top 50 universities, 15 percent were offered by business, economics, finance and law departments, and  percent were in social science departments such as anthropology, history, and political science,” the report notes. Dawn Song, a computer science professor at University of California, Berkeley, said the rise in the interest in blockchain courses is due to the potential impact the technology can have on society. “Blockchain combines theory and practice and can lead to fundamental breakthroughs in many research areas. It can have really profound and broad-scale impacts on society in many different industries. ”Song, who co-taught the “Blockchain, Cryptoeconomics, and the Future of Technology, Business, and Law” in the spring semester of 2018 said the course was so popular that they had to turn students away because the auditorium was filled up. Elsewhere, David Yermack from the New York University Stern Business School plans to offer his blockchain course in both semesters this academic year as opposed to just one semester like last year. Yermack launched his course on blockchain and financial services in 2014, and with an original enrollment of 35 students, it featured a smaller class size than the school's typical elective at the time. By spring 2018, however, the number of enrolled students had increased to 230, a tangible reflection of the growing interest and enthusiasm students are exhibiting toward the field. Francisco Gimeno - BC Analyst International and local educators starting from Secondary schools should always consider that in an era of high speed tech changes students need a thorough generalist formation so they can specialise later easier on what is coming. I witnessed in September 2017 a prestigious teacher at a Business school saying he didn't know what blockchain was and he was not even interested. Our youngsters know what is coming, and are asking to be prepared. Let's not disappoint them. The Stanford University is creating a research and educational center to further blockchain development. Several blockchain startups and cryptocurrency organizations, including the Ethereum Foundation, have come together to sponsor a blockchain research and education center created by Stanford University computer science professors. According to a press release issued June 20, the Center for Blockchain Research will be a place that brings together industry professionals and university scientists to "develop best practices for this burgeoning and potentially transformative field. "The center will be led by Dan Boneh and David Mazières, who are both professors of computer science. Faculty members will include experts in the fields of particle physics, electrical engineering, and law, among others. "Stanford should be at the forefront of efforts to improve, apply and understand the many ripple effects of this technology," said Boneh.In addition to support from the Ethereum Foundation, the center's initial five-year research program is sponsored by DFINITY Stiftung, the Interchain Foundation, OmiseGO, PolyChain Capital, and Protocol Labs. Ethereum co-founder, Vitalik Buterin, voiced his excitement over the foundation's sponsorship of the center in a recent tweet. 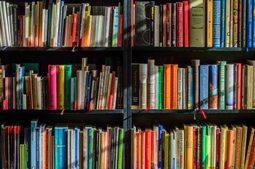 Blockchain research and education has been a hot topic this month. On June 4, Ripple announced it was planning to donate $50 million to 17 different universities in an effort to further blockchain research and improve the ecosystem of payments. On June 19, it was reported that the University of California, Berkeley planned to provide a blockchain certificate program designed to be accessible to people of all skill levels. It was also recently revealed that the University of Luxembourg had agreed to begin collaborating with several entities to explore the role of blockchain technology in FinTechprojects. Francisco Gimeno - BC Analyst Research and labs are needed. If universities such as Stanford also recognises the importance of having this, is another symptom of the importance of this new revolution. Slowly, looking at Universities, institutions both private and publics, big companies, and society in general, we realise how rapidly everything is evolving. However, the country’s school children will see a “rigorous” new mathematics curriculum and financial literacy education. With the current push towards integrating the fundamental programming languages into school systems, blockchain should become a complimentary area of study with the possibility to major in it or specialise. While the UK has no immediate plans to introduce blockchain and cryptocurrency into its schools, other countries are seeing the value and acting accordingly. Earlier this year, Timothy Breza, a history and financial literacy teacher at Union Catholic Regional High School in Scotch Plains, New Jersey confirmed to CNBC the addition of cryptocurrency to his Business and Personal Finance Course for 16 to 18-year olds. University level courses and degrees are now available globally including at the University of California, Pennsylvania, New York, and Stanford. In 2016 the UK’s Cambridge University became the first add blockchain to its Masters in Finance degree. 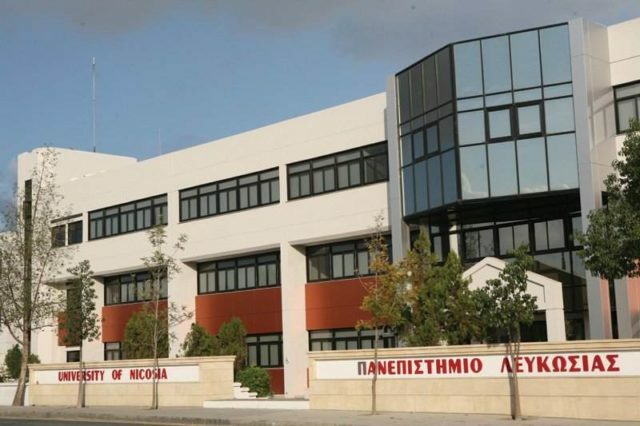 The University of Nicosia, Cyprus, became the first to launch an MSc Degree in Digital Currency. A small team of Oxford University, UK, professors are looking to establish the first-ever blockchain-based university and are seeking authorization from the EU to grant degrees. Woolf Development’s university will use distributed ledger technology and SMART contracts to provide and administer courses and certificates. The Open University, the University of Nicosia, and the MIT Media Lab have also all explored blockchain-based administrative and certification systems. As blockchain and cryptocurrencies infiltrate global financial infrastructures, educational systems, and many other industrial and economic sectors, should they now be included as topics in school level education?